I am embarking on my new career as a newly licensed real estate agent and looking to create a point of difference in my local market. This challenge is faced by literally thousands of new salespeople each year in NZ. In 2017, there were 2,084 new license applications received by the licensing authority – the Real Estate Authority. That’s over two thousand aspiring new salespeople prepared to challenge themselves to make a career in real estate. The hard fact is that around half of all new salespeople fail to make it to their first anniversary. It is, as I have outlined before, a highly competitive industry; an industry where tenure and relationships hold huge value and getting started is a massive uphill challenge. So set against this backdrop, I have been mapping out my own strategy as to how I am going to create a local presence in my own market – the Auckland suburb of Devonport. I want to share my approach, as for many years in my prior roles at both Realestate.co.nz and Trade Me I have advocated the importance of digital profiling as a means to build presence and to be found online; as prospective customers actively prospect for you and your skills; in stark contrast to the time-honoured tradition of real estate prospecting via the well-trodden path of door-knocking and cold calling. My strategy is to position myself around knowledge and insight in the property market. Sounds familiar! As I am sure most real estate agents would propose that they can reference this positioning quoting the latest REINZ of QV stats on the property market from a national or regional perspective. However I am going for a more tightly defined hyper-local market of my suburb. I want to be recognised as a local expert able to talk confidently and write articulately about the trends of the hyper-local property market segmenting house sales separate from units sales and from townhouse and apartments sales. In addition to sales stats and the median prices I am going to analyse and comment around the trends on the inventory and new listings in the suburb by property type. 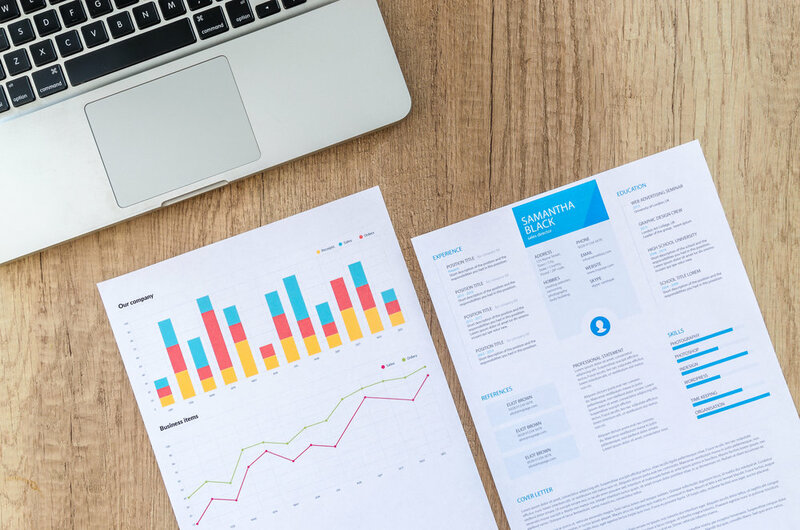 This is a tall order and requires a lot of data analysis, but I judge that to establish this level knowledge and insight is critical to creating a highly differentiated credible and trustworthy platform in the minds of my prospective customers. 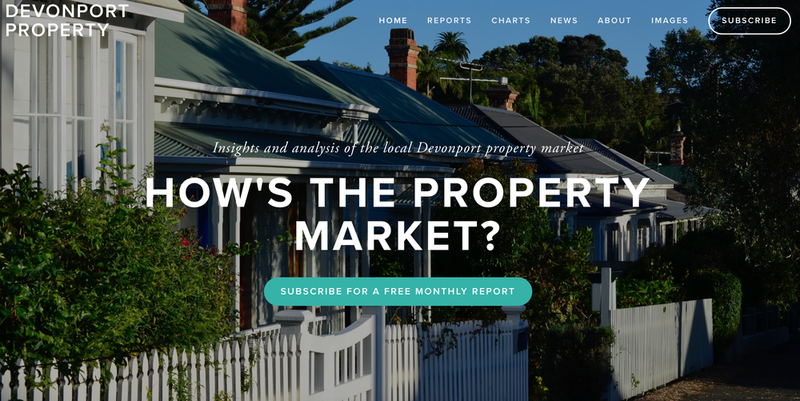 The site is a visually rich destination with a clear focus as a call-to-action of a monthly property report, added to which there are tracking charts that demonstrate the key trends by property type setting out the last 5 years. 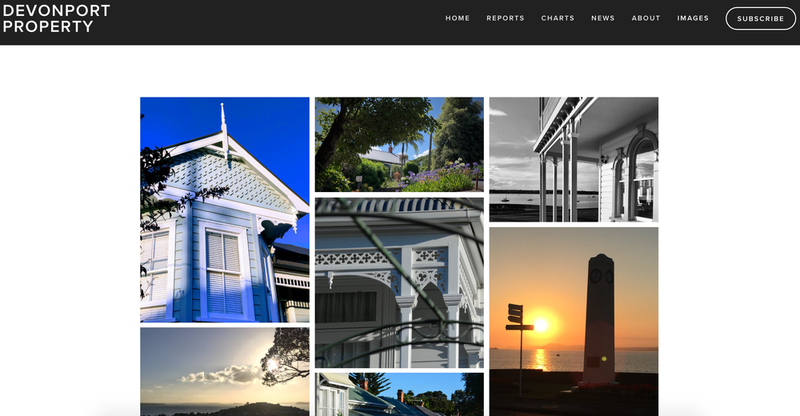 I have combined this rich data and commentary with a visually engaging design which allows me to showcase the images of Devonport – all of which are my own photo collection, taken as I have walked the streets of Devonport over the past months. It’s great to combine the two passions of property analysis and commentary with a passion for photography. At this time as I am still awaiting my full license to practice real estate so the "about" section merely profiles me, but once officially licensed I will be clear as to my role as a licensed real estate salesperson. I’m taking a new direction in my career. I’ve decided to stay in the real estate industry; with over 12 years of experience I feel I hold a deep knowledge and experience that I can apply to the operational side of the industry. So I am about to embark on the first steps to becoming a licensed real estate salesperson in my local market of Devonport, Auckland. I wanted to share the process so as to provide insight and potentially advice to others proposing to follow this path and to provide a wider audience with some insight as to the real estate industry and the operational processes within it. I alluded to this new direction in my career a few weeks ago as I wrote a personal perspective on the real estate salespersons course which I have now completed. Now with my NZQA National Certificate in Real Estate (Salesperson) (level 4) in hand I am applying for my license to practice real estate. This needs to go through the Real Estate Authority and all the appropriate checks as to my suitability to hold a license as well as a public notification. My focus will be residential real estate which has been my main focus whilst working through my roles at Realestate.co.nz and Trade Me as well as my prior roles in consumer marketing. A key decision I have need to make was the choice of company to work for. My local suburb is well served by real estate companies of which there are 5 offices all within a local block, they are second only in number to cafes in Devonport. According to their collective websites these 5 offices would appear to have 53 salespeople all competing for an annual sales of around 220 properties. It’s a competitive market! In just the past 6 months there have actually been 65 salespeople who have had their name on at least one listing, the reason being that salespeople and real estate companies outside of the suburb have had listings -it’s that competitive! Having made the point that this is a competitive market, it will come as no surprise that of these 65 salespeople just 11 represented half of all listings, this is the Pareto principle of real estate – not 80/20 but 50/17. I have decided to work with Bayleys, whilst not the largest operator in my local market I felt that the brand works well with my personal brand and the scale of their operation on the North Shore and their market aspirations fit well with mine. The other larger operations in the local area being Barfoot & Thompson and Harcourts equally have strong brand presence, however, having examined the positioning of the key top performing salespeople I saw a better opportunity with Bayleys. As anyone with an understanding of the business model of real estate here in NZ and many other countries, the decision of who to work with as a company has few parallels with joining a company as an employee. I will be a self-employed contractor and the act of signing a contract to work with a real estate firm does nothing to benefit my bank balance, it merely ensures that I understand and agree to operate under certain policies and procedures. The rest is up to me, for in that regard I am the brand. I need to build my own presence; to prove that I can undertake the work required in a diligent and professional manner and gain the trust of my future clients whilst my fellow local salespeople challenge me with their years of experience and deep local connections, seeking to in many ways undermine me and my ambition. It is a competitive environment and I hold no allusions! I propose over the coming weeks and months to share some observations on the role, the strategy and hopefully the success in my new career. I have spent the past few months undertaking the real estate salesperson course. This course which leads to the ‘Salesperson - National Certificate in Real Estate Level 4’ and is the educational requirement under the Real Estate Agents Act (2008) for anyone who plans a career as a real estate salesperson. Funny enough, I did attain just such a certificate to practice real estate back in 2005 but at that time let my license lapse, as I never really got started in the industry. So, I decided it was time to re-acquaint myself with the course and have the certificate as part of my commitment to the industry. The first comment I would make, is that the difference between studying for the certificate in 2005 and today is akin to the difference between Jean Batten’s preparation to fly across the Tasman in 1936 and the preparation that nowadays takes a Boeing 777 across the same Tasman Sea. The outcome is the same, but the attention to detail and adherence to protocols and processes is vastly difference. In 2005 I remember I rocked up to the Albany Tennis Centre at 9am one Monday morning to participate in a training course undertaken by Unitec along with a dozen other would-be future agents. For the next 2 weeks, I spent 4 hours each morning attending a series of lectures on the core parts of real estate, which largely comprised understanding the laws pertaining to land transfer, as well as some great home-truths of the industry colourfully shared by industry stalwarts. There was some course work and tests which required my time some of the afternoons, but largely the acid test for the certificate came at the end of the second week when I was required to sit in front of an invigilator and demonstrate that I was competent to correctly fill out a Sale & Purchase Agreement. Once able to prove such capability (which took about 20 minutes) I was issued with a real estate certificate and was on my way to practice real estate the very next day. Or so I thought, what actually happened was that I chose a career with Realestate.co.nz a couple of months later! Let’s now compare that scenario with the reality of training to be a real estate salesperson today. I chose to enrol with the Open Polytechnic, who I commend wholly as their online course (supported by excellent tutors who are readily available to help) is excellent. However rather than the previous experience of a 2 week semi-part time study, the current course has taken me an elapsed period of just under 6 months. Now, I chose not to pile into the course as a full time student. I recon I spent around 2 to 3 full days a week working through the course papers and undertaking assessments. The Open Polytechnic indicate that each of the 3 papers required for the course would expect to take around 170 hours of study each! So committing yourself full time, you would expect to spend 3 months doing the course. The course is comprehensive, here are some of the statistics. The course comprises 6 written assessments, 7 online multiple-choice assessments and a final in-person assessment that takes over 90 minutes roleplaying the process of documentation and negotiation of a sale. All assessments allow 3 attempts, if you fail after the third go on any assessment, it is back to the start of the whole course again with a new fee payable, which is around $1,000. The course work comprising 3 discrete papers is all online and delivered through an excellent application. The scale of the course work is pretty staggering with a total of 280,000 words equivalent to close to 800 A4 pages! The written assessments I completed and submitted (and maybe I was a little verbose) totalled 31,000 words written on a total of 90 A4 pages. The 7 online multiple choice assessments are timed at an hour in which you have to answer all the questions correctly (with the 3 goes). The course work covers a staggering 30 Acts of Parliament, obviously involving the expected Real Estate Agents Act 2008 as well as Land Transfers Act 1952 and the Residential Tenancies Act 1986. However, would you have imagined the course would additionally cover aspects of the Human Rights Act 1993, the Building Act 2004, the Civil Union Act 2004 and the Secret Commissions Act 1910 to name just a few ? The course naturally covers all the legal aspects of property transactions (as well as some degree of business transactions) in significant detail as well as the legal obligations, as well as focussing significantly on the Code of Conduct of the Real Estate Agents Act Professional Conduct and Client Care Rules 2012. 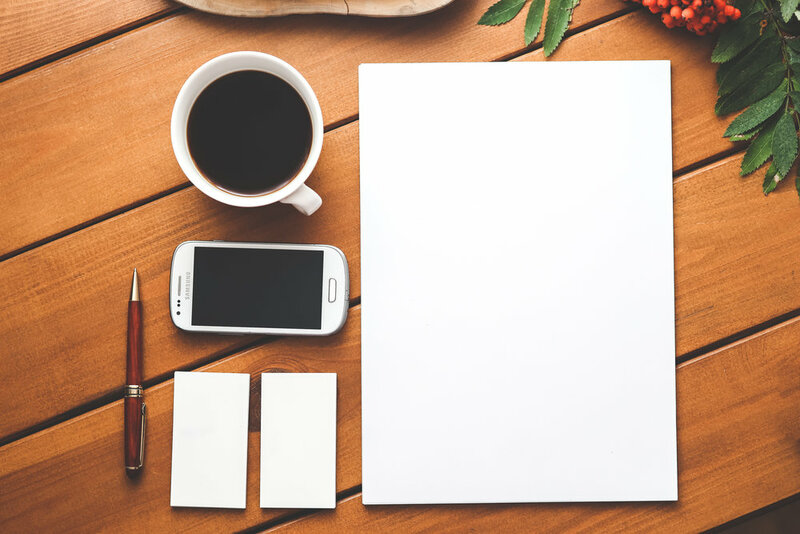 The course material also covers as broad a syllabus as personal brand marketing, all aspects of property marketing, as well as appraisal procedures and the complete process from assessment to settlement. I feel, having completed the course in a far better position to advise and support buyers and sellers in the process of property appraisal, marketing and transaction than I ever would have done back in 2005. This vastly different entry criteria to the industry is the result of the 2008 Act that set up the Real Estate Authority and improved the standards of procedure and process in the industry. An industry that sadly was all too often lambasted in the media for sloppy procedures and archetypal bad-apples that certainly reinforced the poor reputation of the industry. As ever such changes do not solve issues overnight. The education threshold on entry to the industry is not retrospective, although on-going training is nowadays mandatory. Bad-apples continue to plague the industry, far less-often than before, and the implications for those that break the law or are found to have breached the code in terms of fines and disbarment are now more significant. However I have confidence that the new entrants to this industry – some 2,000 last year will demonstrate the best of capability and adherence to the laws governing this key process that involves many hundreds of kiwis everyday.